James A. Handy, 1826-1911 Scraps of African Methodist Episcopal History. Scraps of African Methodist Episcopal History. Philadelphia: A. M. E. Book Concern, 1902. 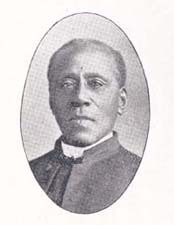 African American Methodists -- Clergy -- Biography. Union Theological Seminary provided the text for the electronic publication of this title.